A slight change this week. I was planning to do AGameAWeek as usual, but was somewhat thrown off course by a request to make games, instead! This week there shall be no AGameAWeek. The game that keeps on going, even though it's just a ball and some spikes! Now accepting Spike Dislike Sprites! Yesterday, Rob from RetroRemakes asked if he could do a spritesheet for Spike Dislike. After a lot of back and forth, I decided to write a how-to, so any future requests could go a little bit smoother! Here's some info on how to make 'em, alongside a bunch of all-important rules. A nice slow paced shooter this week. 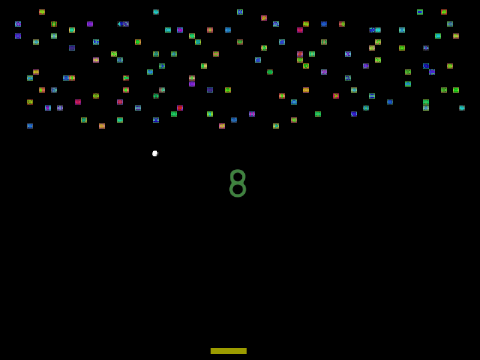 Poor old CPC Basic couldn't really handle bullet-hell type games. Well, ok, maybe it could if you really really tried, and came up with a scrolling ascii grid of bullets, but for the most part it just wasn't happening. 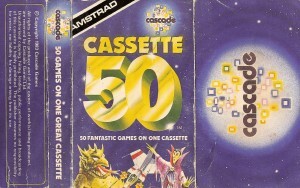 Instead, Cassette 50 creators had to rely on other ideas. Like trying to kill you with your own desire to kill!! 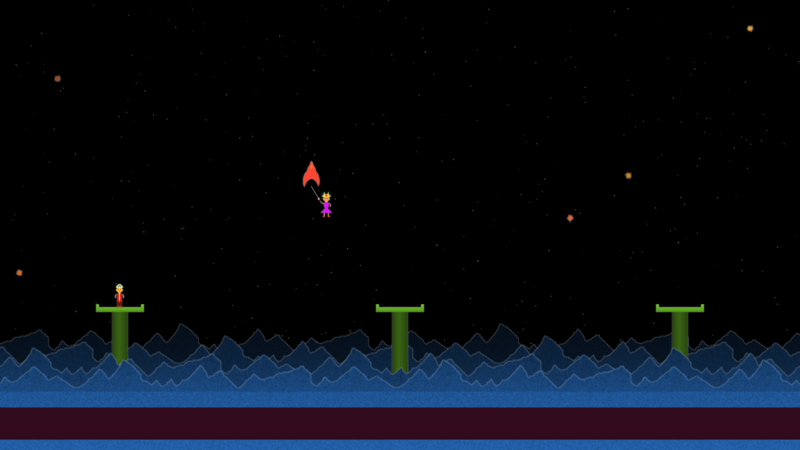 Hover by the enemy, try not to get hit, and zap them with your ray gun. Since I'm going to be doing Cassette 50 for a while, we're not going to be needing the regular Suggestion Box for a while. As a kind of replacement for those, then, I'll be thinking ahead, and wondering about the "larger" projects. How the smeg did I screw up the counting, last week?! I mean, REALLY!! I have a Google Spreadsheet that's supposed to be counting all this! Spreadsheet reorganised, and counting fixed. Anyway, this game's a bit pants. OK, I've gone through all the CPC Cassette, and here's the ones that initially jumped out as being at least vaguely redoable. Next up, I'm going to start grabbing other editions, and going through them. Well, I say next up, I've gotta make this week's first, though! .. I'll go do that! Here's Terry Paton enjoying Spike Dislike on an iPad! You can get Spike Dislike for your iPad/iPod Touch/iPhone, right here! It's only 59p, and all profits go towards another 200 AGameAWeeks!! 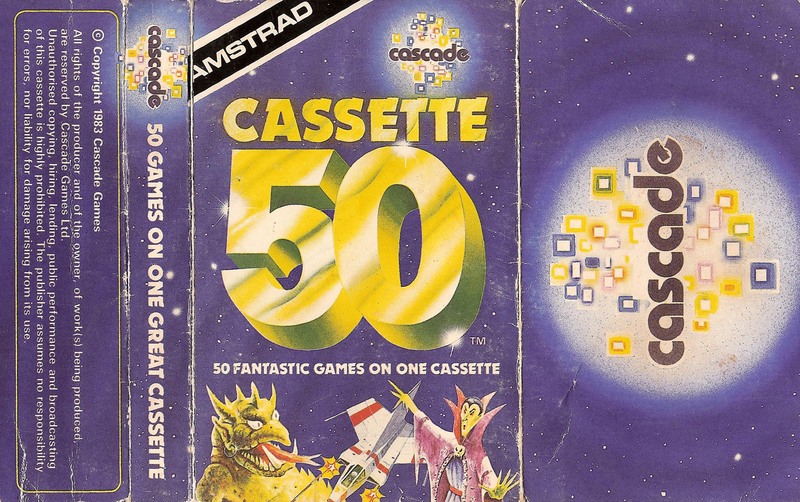 Cassette 50, Game number 1. Have a play with the original if you're bored, and then on Tuesday, you can play a version that's marginally more playable! I ran out about midway through Advent, and I think finishing that off has sapped every last ounce of ideaness out of my poor little head. So, in order to continue to do AGameAWeek, I'm going to have to start doing things in a slightly different way. I thought about this for a while, yesterday, and it does seem slightly plausible, if a little dumb! Why is it always the little random games with a dire lack of content that become the most popular ones?! Lesson Learned : I oughta stop trying so hard, and just knock out the simple little games! I was thinking this whilst doing the Advent collection. 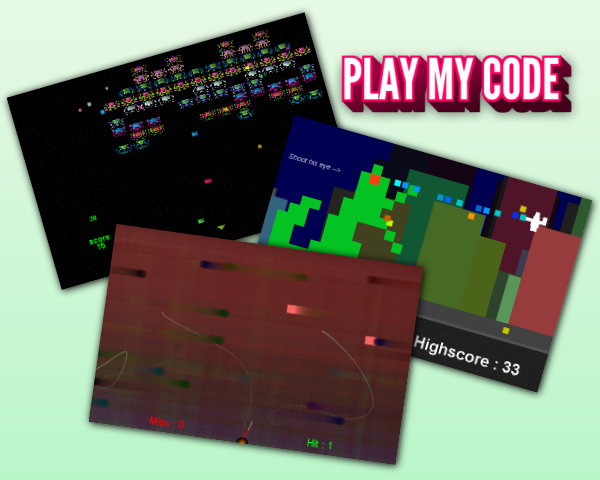 Some of those were really playable, and I had a whole lot of fun whilst making them. On the flipside, doing the larger games like that horrible nasty RPG, and.. To be fair.. a lot of the Year3 games. They've all been kinda half-assed, and not really much to play with. I think I'm at one of those crossroad thingies again. Do I carry on, and strive for bigger/better, or do I just do what I do best, and pull things back to basics. I'm tempted to do the latter! You all know how to play this one! Bounce continuously to the right, avoid the spikes, shoot at them occasionally, Super Spike Dislike!! Bounce as far as you can! Jump , Hop , Bounce , Spiiiiiiiiiiiiiiike! Happy New Year! Jay's Top 10! The year is new, but the logo's old. Sod it. I love this logo! I should be doing a year-long roundup thing, but I've not had much time, what with the whole Advent and stuff. No matter, there's been some good, and plenty of bad, and that's what AGameAWeek's all about!